It is essential that the coach try to see from the point of view of the person being coached. By learning to the client nonjudgmentally, the coach learns the most important element of the coaching job. Learning to ask questions that help clients reveal more and more to themselves is a natural outcome of such listening. The coach’s questions are geared to finding out information not for the purpose of recommending solutions, but for the purpose of helping clients think for themselves and find their own solutions. Ideally, the end results of every coaching conversation is that the client leaves feeling more capable of letting go. In order to help the client find solutions and reach their potential. The coach need to help the client to be first aware of his current reality. Be conscious of his limitation and then be mindful of his values in order to be motivated to find a solution that will match his/her values in life. How do you define this issue? What are the critical variables in this issue? What has been working for you or not working for you? What are your values that you live by? Which values you think are related to this situation? What motivates you to find a solution based on your values? What changes you would like to make? What do you feel most strongly about in this situation? If you could do it any way you wanted, how would you go about accomplishing your goal? What is stopping you from accomplishing your goal? if you didn’t accomplish your goal, what would you feel? What alternatives can you consider? Linking the clients to their core values, remind them of who they are and what they all about. 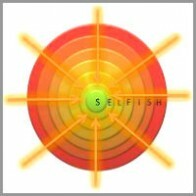 It helps the coach to uncover wrong beliefs that the clients might have about themselves. Usually these wrong beliefs are limiting the clients from reaching their potential. In CAMV model, we are trying to get the clients to be conscious, aware, mindful of their values in order to reach their full potential. In addition, the clients will be able to let go of wrong behaviors or beliefs that are limiting their potential in life.